For other people with the same name, see John Gore. Captain John Gore (c. 1730–10 August 1790) was a British American sailor who circumnavigated the globe four times with the Royal Navy in the 18th century and accompanied Captain James Cook in his discoveries in the Pacific Ocean. Although little is known about John Gore before his service with the Royal Navy, it is believed he was born in the British Colony of Virginia in either 1729 or 1730. He first appears in the record books in 1755, joining HMS Windsor at Portsmouth as a midshipman. Gore had previously been part of the Royal Navy crew aboard Wallis's Dolphin that had "discovered" Tahiti and he became valuable to Cook for his knowledge of the island. 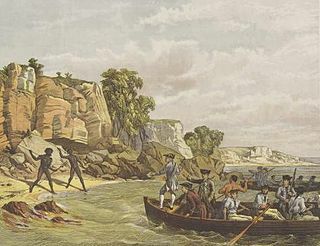 In 1769 Gore became the first recorded person on the expedition to shoot and kill a person of Māori descent, following an altercation over a piece of cloth as the Endeavour charted the coast of New Zealand. Later, on 14 July 1770 Gore became famous for being the first person to shoot and kill a kangaroo (for scientific research) as the expedition made its way up the eastern seaboard of Australia. Returning to England, in 1772 Gore joined the botanist Joseph Banks (who had also been on Cook's first Pacific voyage) in a private scientific expedition to Iceland and the Hebrides. Gore and Banks may have become friends as evidence shows that Banks was the executor of Gore's will. 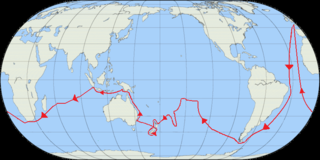 The trip did not return until after Cook had sailed on his second Pacific voyage. However, in 1776 Gore answered the call from Cook and the admiralty once again and joined HMS Resolution as First Lieutenant for Cook's third voyage. As the Resolution explored the Pacific in search of the famed Northwest Passage, Gore would sight the American continent of his birth from the west coast. 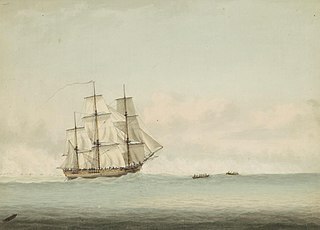 Later, following Cook's death in Hawaii, Charles Clerke, captain of Resolution's sister ship HMS Discovery took command. Gore then assumed command of Discovery in Clerke's place. When Clerke himself died shortly after, Gore took responsibility for the entire expedition (unaware that his place of birth had declared its independence from Great Britain two years previously) and brought the ships home to England on 4 October 1780—more than a year after assuming command. He was formally promoted to the post of captain on 2 October 1780. 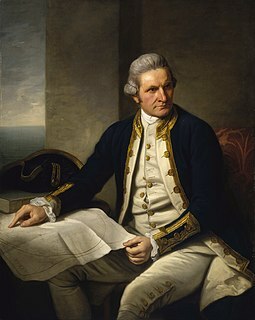 In recognition of his achievements John Webber, who had previously painted Cook, took Gore's portrait as the navy made him an honorary post-captain. Moving further in the footsteps of Cook, he was offered the late Captain's vacant rooms at the Greenwich Hospital. In 1790, having circumnavigated the globe four times, he died on 10 August. Gore was survived by a son, John (born 1774) who was also a Royal Navy Officer, who reached the rank of captain on 19 July 1821, retiring in that rank on 1 October 1846, later promoted to Retired Rear Admiral on 8 March 1852 and dying in 1853. He moved to Australia in 1834 as one of the first free settlers. Little is known of his mother (John Gore senior's wife), Ann Gore, although she is known to have received a Royal Navy widow's pension from 1790. His son (that is, John Gore senior's grandson), Graham Gore, continued the expeditionary heritage, perishing in John Franklin's ill-fated attempt to navigate the Northwest Passage, nearly 70 years after his grandfather had attempted the same. Gore Point and the Gore Peninsula in the Alaskan Kenai fjords were named for John Gore by Captain Nathaniel Portlock, a fellow veteran of Cook's third voyage who explored the Pacific Northwest of America in the late 18th century. There are also several Australian sites named after John Gore. ^ WRD Leigh 1978 Biographical Notes and Genealogical Charts of Families descended from John Gore and Richard Leigh in Australia. Edward Riou FRS was an officer of the Royal Navy who served during the French Revolutionary Wars under several of the most distinguished naval officers of his age and won fame and honour for two incidents in particular.